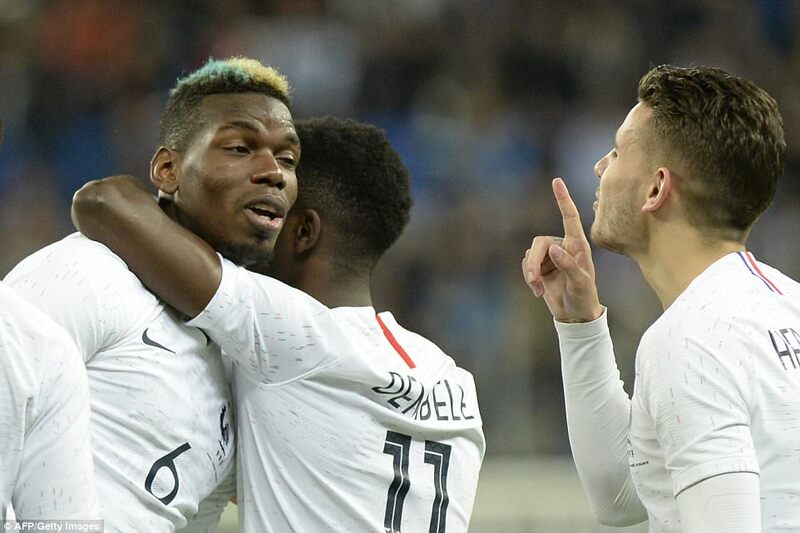 Paul Pogba looked to the heavens after scoring a wonder goal as France proved too strong for Russia, beating them 3-1 in St Petersburg on Tuesday night. The Manchester United midfielder’s father, Fassou Antoine, died last May after a long illness. He would have been 80 on Tuesday. 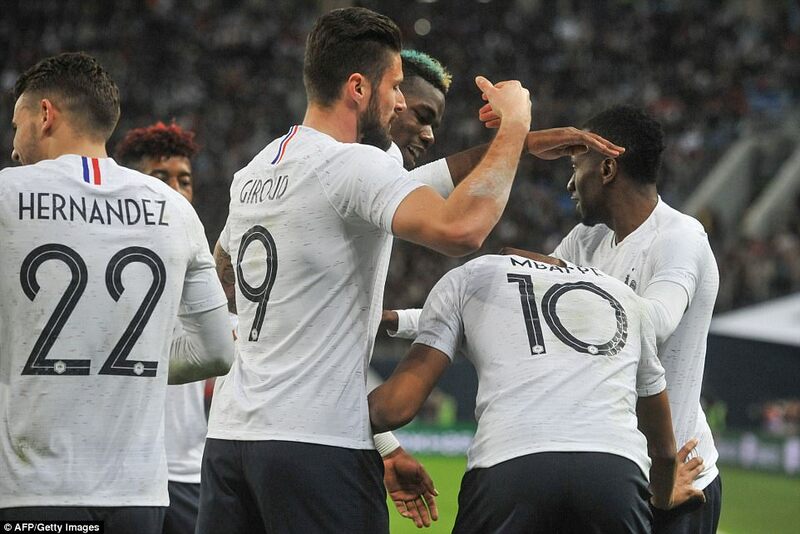 Pogba has struggled in a disappointing campaign under Jose Mourinho at Old Trafford, but the stunning free-kick which prompted his emotional tribute came four minutes into the second half and put France in control at 2-0 up. Russia, beaten 3-0 by Brazil in Moscow on Friday, have now failed to win any of their last seven matches, while France bounced back from their 3-2 defeat by Colombia in Paris. 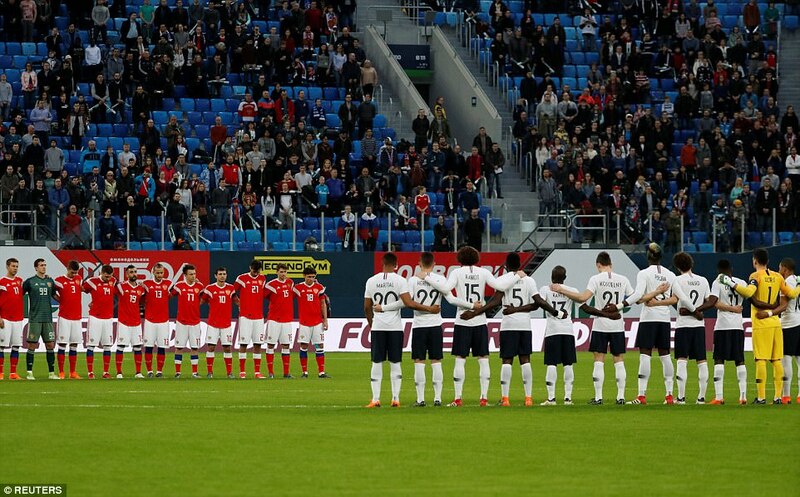 Les Bleus made an indifferent start following a minute’s silence in memory of those killed in Sunday’s Kemerovo shopping mall fire and could have found themselves behind in the 15th minute. Midfielder Alan Dzagoev, one of five Russian changes, teed up Smolov, but the striker’s first-time shot was well saved by Hugo Lloris. 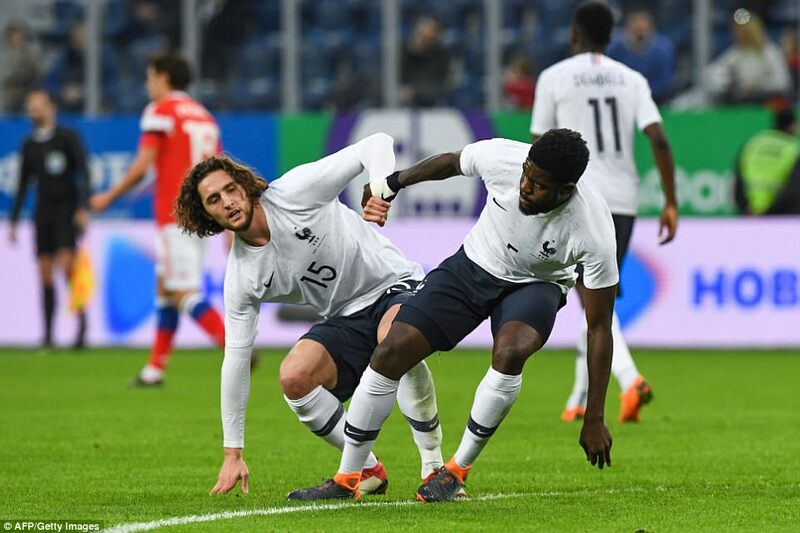 Deschamps made seven changes after letting slip a two-goal lead against Colombia on Friday, and his side showed little urgency until Mbappe somehow missed their opening chance in the 27th minute. Anthony Martial raced on to a long ball over the top and when his effort was deflected into Mbappe’s path, the Paris Saint-Germain forward shot tamely at goalkeeper Andrey Lunev from 10 yards. 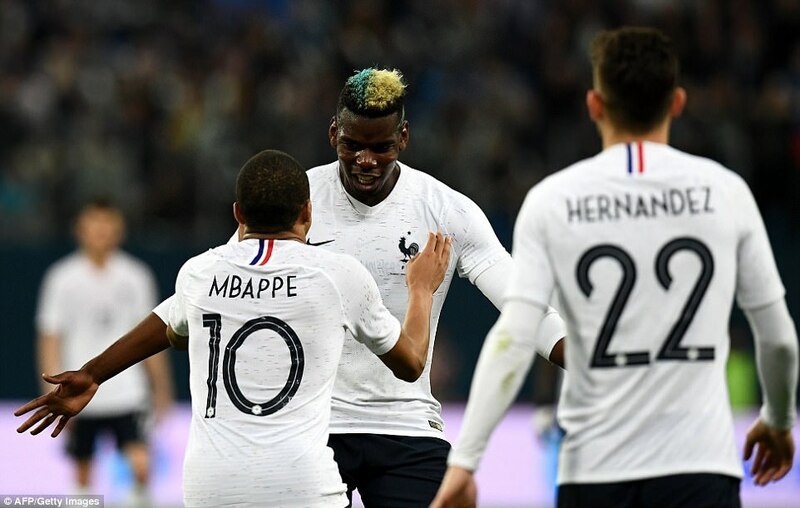 France began to dominate possession and were rewarded for their superior creativity when Mbappe fired them into a 40th-minute lead. 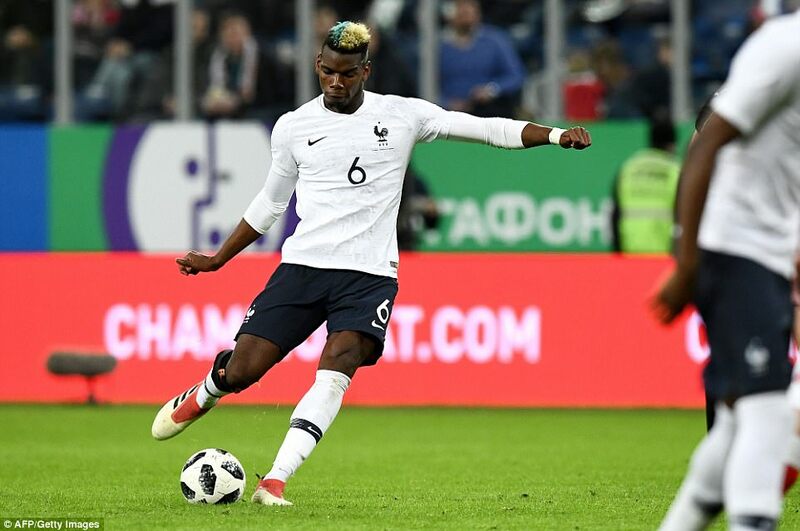 Pogba, back in the starting line-up, threaded a perfectly-weighted pass through for Mbappe, who checked to lose his marker and buried a shot inside Lunev’s near post. Mbappe went close to extending the visitors’ lead just before the break, but his effort from Martial’s cut-back lacked the power to beat Lunev. France struck their second four minutes after the restart. Pogba was fouled by Aleksandr Erokhin 25 yards out and the Manchester United star brilliantly curled home the subsequent free-kick into the bottom corner. 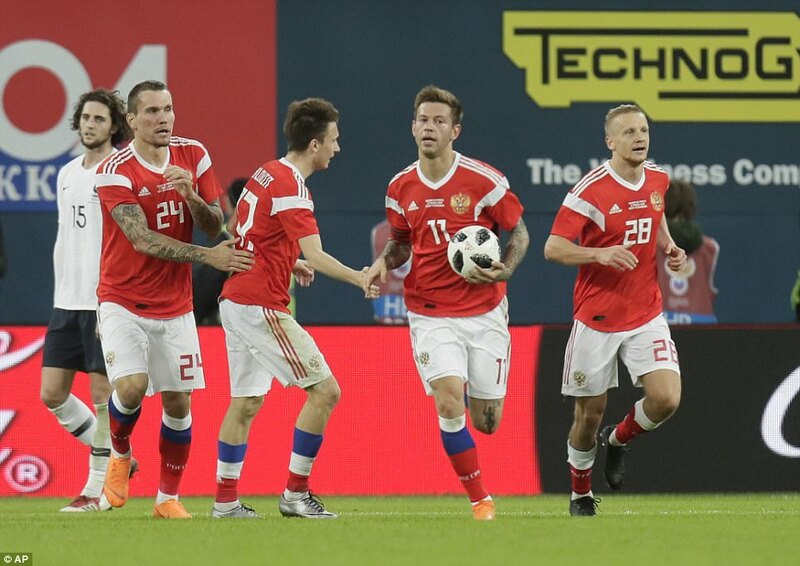 Russia wasted a golden chance to get back in the game in the 58th minute when centre-half Vladimir Granat blazed wide with the goal at his mercy after Lloris had parried Smolov’s initial shot following a corner. Russia then threatened a grandstand finish when they pulled one back in the 68th minute. Half-time substitute Igor Smolnikov picked out Smolov with a superb diagonal pass and the latter kept his composure to finish at the far post. But with seven minutes left, Mbappe put the result beyond doubt, showing superb technique to make space in the penalty area before drilling a low shot between Lunev’s legs. Was It Disrespectful for Vontae Davis to Retire Mid Game?